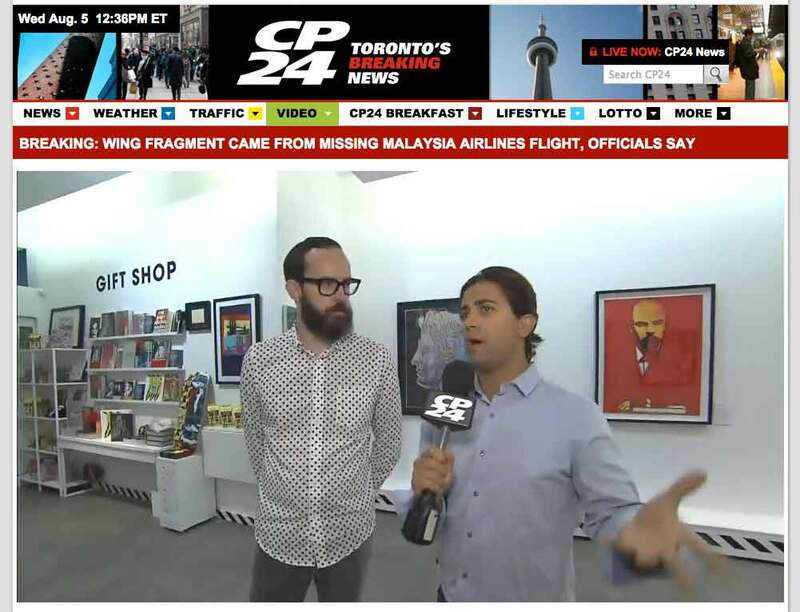 On a July 30th, 2015 video segment, CP24 Breakfast featured Andy Warhol Revisited in an interview with Ryland Behrens, art director of Revolver Gallery. Behrens discussed the large appeal of Andy Warhol and his misconception of a voided narrative – Warhol’s work speaks to culture both then and now. To watch the full interview, visit CP24.